My 8-year-old and I just whipped up his holiday gifts for friends, family, and teachers: homemade creamed honey! We had no idea how easy it is to make such a delicious spread. And it's a fascinating project for curious little scientists. You've probably had a jar of liquid honey become crystallized. Creamed honey is also crystallized, but it's a controlled process with much finer crystals. Naturally crystallized honey tastes gritty and rough. Creamed honey, on the other hand, is smooth like soft butter. To make it, you need a bit of creamed honey as starter, or seed. By stirring it into liquid honey, you're providing a crystal pattern for the liquid honey to replicate. If you stirred in large, chunky crystallized honey, the liquid honey would replicate those crystals. The tiny little crystals in the creamed honey beget more tiny little crystals in the liquid honey, and within a few weeks you have a new jar of deliciously smooth, spreadable honey. Once you have a batch of creamed honey, you can maintain an endless supply by using it as the seed crystals for each successive batch. It takes about two weeks for creamed honey to crystallize. While the kids watch and wait, they might want to learn more about crystals. This would be a great springboard for learning about snowflakes, making crystals, or even making rock candy or fudge. You could also try other projects that use starter, like sourdough bread or homemade yogurt. By the way, if your liquid honey naturally crystallizes, it hasn't gone bad. To salvage it, heat the bottle gently in a pan of warm water to dissolve the crystals. Your honey should be good as new. You can easily scale this recipe up or down. Just be sure you have at least one part creamed honey per 10 parts regular honey. 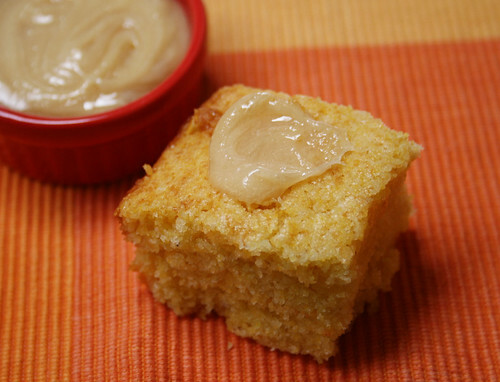 You can use a higher proportion of creamed honey, if you wish, but don't go any lower. Regular creamed honey from the market works fine — if you can get some from a local beekeeper, even better! In a small saucepan, warm the cup of honey over medium-low heat, stirring occasionally, until it reaches 140 degrees. Remove from heat and let cool to room temperature. This step is important: It dissolves any crystals that may already have begun to form in the honey. Once the liquid honey is cool, add the creamed honey and mix thoroughly, stirring for several minutes. Let the mixture sit, covered, overnight to allow air bubbles to rise to the top. Spoon the blended honey into a jar and let it sit. The process takes about two to three weeks at room temperature, less in the refrigerator. 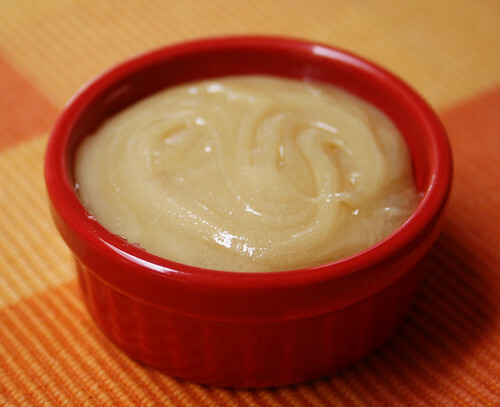 The honey will gradually turn light in color and develop a creamy texture. There's no need to refrigerate the finished project — honey will keep indefinitely at room temperature.